Over the past few years, ceramics in all its forms has returned to the forefront. This renewed interest reflects the challenges of today’s society, that truly wants to sculpt a more authentic future. In search of uniqueness, this latter one moves away from mass consumption and turns to natural materials such as ceramics to dress up its daily life. Seeking a way back to the roots or a new form of expression, artists and craftsmen have brought a wind of renewal to this traditional know-how. Their creations will be exhibited during the Ceramic Panorama 2018. Ceramic and contemporary creation enthusiasts, creative minds or curious, all the visitors will be able to discover the exhibited artworks and everyday objects as well as to meet the ceramists in a warm and laid-back atmosphere. To ensure the quality of the event, exhibitors are selected by a jury of ceramic professionals. For the 4th edition, this jury is composed of internationally renowned artist Sandro Godel, well-known ceramist Erika Fankhauser-Schürch and designer Dimitri Bähler, awarded during the latest Kortrijk Biennale. About hundred professional ceramists and artists from all over Europe have been selected. 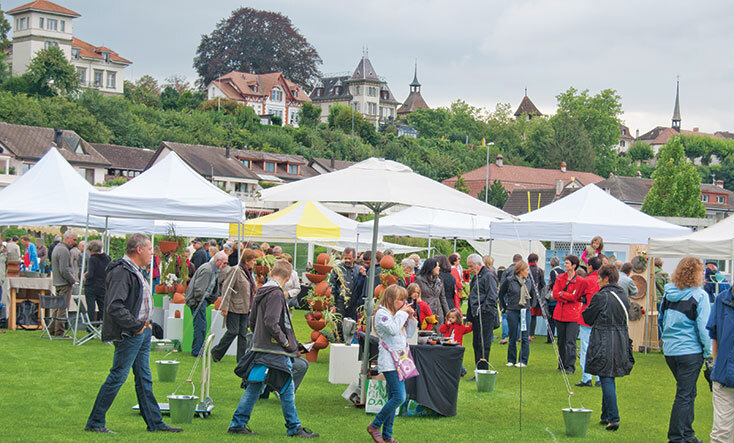 They will showcase their artworks in Murten on September 1 and 2.